But Intel was certainly already aware that there was some risk of Apple and Qualcomm settling. There was also perhaps an even greater risk in Intel being lined up to continue as Apple's exclusive modem supplier despite serious doubts that it could deliver a 5G solution on schedule. Additionally, there was also strong evidence that within a couple of years, Apple would eventually develop its own modems—an internal Apple modem effort has been no secret for years. Intel's concerns about sinking substantial capital into a business that the bottom could fall out of at any moment likely means that the finality of the deal between Apple and Qualcomm came as a relief. Intel can now immediately pivot to other opportunities that aren't dependent upon the whims of an external decision, whether by Apple or from the court reshaping the 5G chip licensing business. In fact, Intel has no other option. And there's no decision that easier to make than one where you don't have any other viable alternative. Intel leaving modems is like Microsoft leaving Windows Mobile or Google leaving Android tablets and Chrome OS Pixel notebooks. 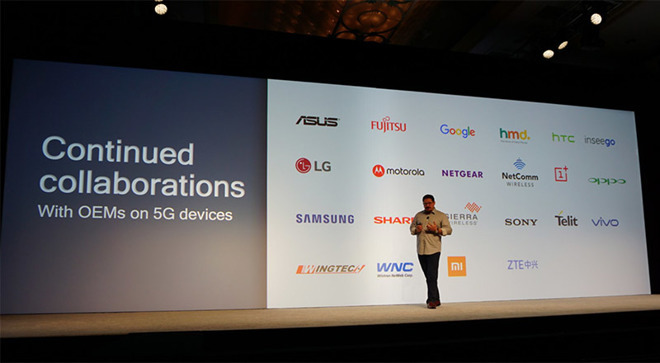 The idea that every Android flagship by the end of 2019 will be outfitted with 5G chips isn't much of a selling point, given that there are currently no usable 5G networks anywhere that matters. But the idea that Apple was stuck at a disadvantage and would continue to be mired in uncertainty for an unknown number of years was the best possible marketing line Android enthusiasts could have hoped for—and now it's gone. For Samsung, the idea that its premium, iPhone-priced Galaxy S models could claim a years-long edge in having superior modems—either from Qualcomm or 5G components of its own internal design—was pretty much the only good card it was holding. Everyone—even Galaxy proponents—was ignoring Samsung's exclusive Galaxy Apps and hating on its Bixby voice assistant, while its Application Processors were continuing to linger solidly behind Apple's latest A12 Bionic in performance and sophistication. But no more! Apple is now back to having access to Qualcomm's chips, which aren't regarded by the intelligence community as being legally obligated to support spying, nor the subject of reports taking it to task for being egregiously incompetent. 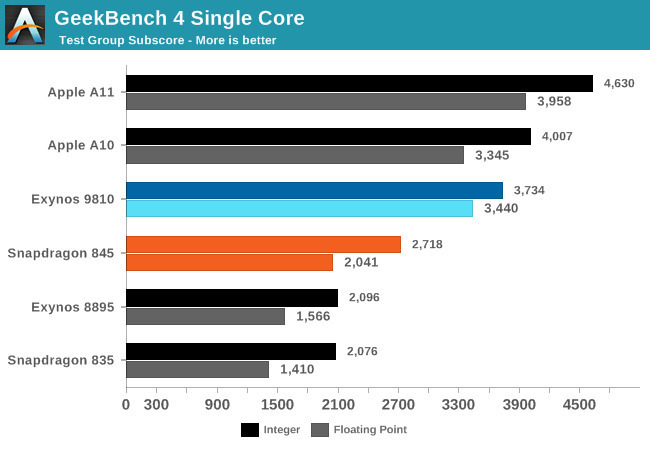 Qualcomm is regarded as having the best chips with the best technology available, at least for now. There have been several times before where Apple was claimed to stuck in the present while Android or other rivals were clearly pulling ahead with superior technology. Before Android was even significant, the webOS-based Palm Pre was hailed as having access to "multiple core" chips in the months before iPhone 4 shipped. Once Apple shipped its own superior processors, Palm's entire marketing holding up its fledgling effort to retake ground in the smartphone race collapsed entirely. However, Qualcomm is also well aware that Apple continues to work on its own internal modems. 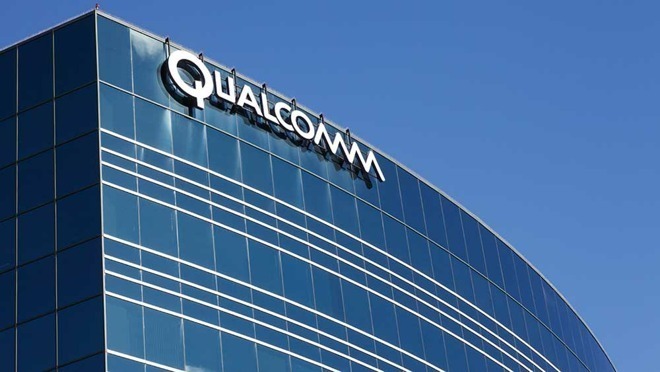 It's hired away Qualcomm employees and even set up R&D operations in San Diego, the same sort of brain trust raid Apple earlier established in the home towns of Blackberry, or IBM, or TI, or Amazon. Apple pretty clearly needs Qualcomm over the short term, after which Qualcomm faces the same fate as Imagination Technologies, the GPU IP vendor Apple worked with exclusively before cutting it loose and going solo with its own Apple GPU. Like Intel, Qualcomm needs first-class customers who pay a significant premium for its very best chips. And in Androidland, both Samsung and Huawei—the only makers producing any volume of high-end phones at all—already make their own 5G chips. So Qualcomm quite desperately needs Apple to buy its chips at a premium price. It has locked down a deal to do that for a few years. But once that deal is over—and it's over as soon as Apple develops its own technology, just like Samsung and Huawei already have—Qualcomm is going to be out of a premium-price paying vendor selling in significant volumes once again. We do know that Qualcomm recently lost its multiple-billion dollar leverage in trying to force Apple to pay back clawback provisions after it cooperated with governments investigating Qualcomm. Apple didn't rack up any material losses in the variety of nuisance claims Qualcomm had made, even if members of the tech media loved falsely floating out relatively minor infringement cases in Germany and elsewhere as being material to anything. So it was Qualcomm that had lots to lose and little to gain by continuing to play hardball in court. For Apple, it was just an annoyance.